The Curlew has suffered widespread declines across its European range. No where has this been more severe than in Ireland. Bird experts estimate that there has been a 97% decline in numbers since the 1980’s. While we see large numbers of Curlew on the Irish coasts in winter, the majority of these birds are overwintering from other European countries. Because of the population crash the Curlew has been put on the Irish Red list and the IUCN have classed the species as near threatened on a global scale. The most recent survey of breeding Curlew in Ireland undertaken by the National Parks and Wildlife Service found only 123 pairs of birds breeding. Curlew breeding hot spots include The Stacks Mountains, Lough Corrib and Midland Raised Bog sites. The dramatic decrease in breeding pairs is due to habitat loss, habitat fragmentation and predation. With a predicted loss of breeding Curlew in Ireland estimated to be within five to ten years (i.e. 2022-2027) a Task Force has been set up comprising a variety of stakeholders and co-ordinated by the National Parks and Wildlife Service. IPCC’s Conservation Officer – Katie Geraghty is a member of the Task Force. IPCC are very fortunate to have Curlew present on Lodge Bog and we are keen to do as much as possible to ensure their survival. In 2018 we were delighted to obtain funding from the Heritage Council under the EYCH Community Heritage Grant 2018 to continue conservation efforts for Curlew on Lodge Bog, we also received funding support from the Department of Culture, Heritage and the Gaeltacht under the Curlew Partnership Fund. Read more about this project here. 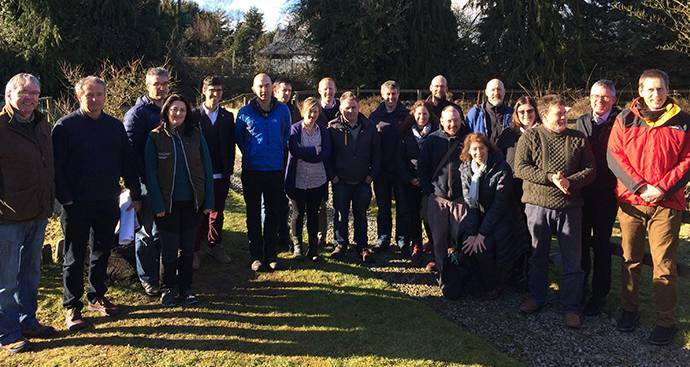 IPCC joined the Curlew Task Force in 2016 and have attended a number of meetings to date. We are pleased to present a synopsis of each meeting attended and the actions they produced. Further updates on the latest activities of the Curlew Task Force here. 16th November 2018: The Task Force met for the last time on the 16th of November at Clara Bog Visitor Centre. A draft document entitled ‘Recommendations of the Curlew Task Force’ was discussed. The document brings together all of the recommendations from each of the seven discussion groups and was produced by Dr Barry O’Donoghue of the NPWS with input from each discussion group. The discussion groups included: Curlew ecological requirements and research, farming and agri-environment, forestry, bogs, predation & nest protection, planning & development and Curlew and people. Task Force members are currently reviewing the document and once finalised the Chairman – Alan Lauder will bring it to the Minister. Progress updates to follow. 8th March 2018: The Curlew Task Force met on 08 March 2018, in the Bog of Allen Nature Centre. Representatives from various organisations including farming, nest protection, eNGO, academic, Governmental and indeed individuals with long-standing experience of Curlew conservation attended. You can find out more information about this here. 12th October 2017: The Task Force met on the 12th of October at Lough Boora Parklands. Updates from the 2017 Curlew breeding season were discussed along with plans and recommendation for conservation efforts in 2018. 5th April 2017: Curlew Task Force Meeting at the Bog of Allen Nature Centre hosted by the IPCC. 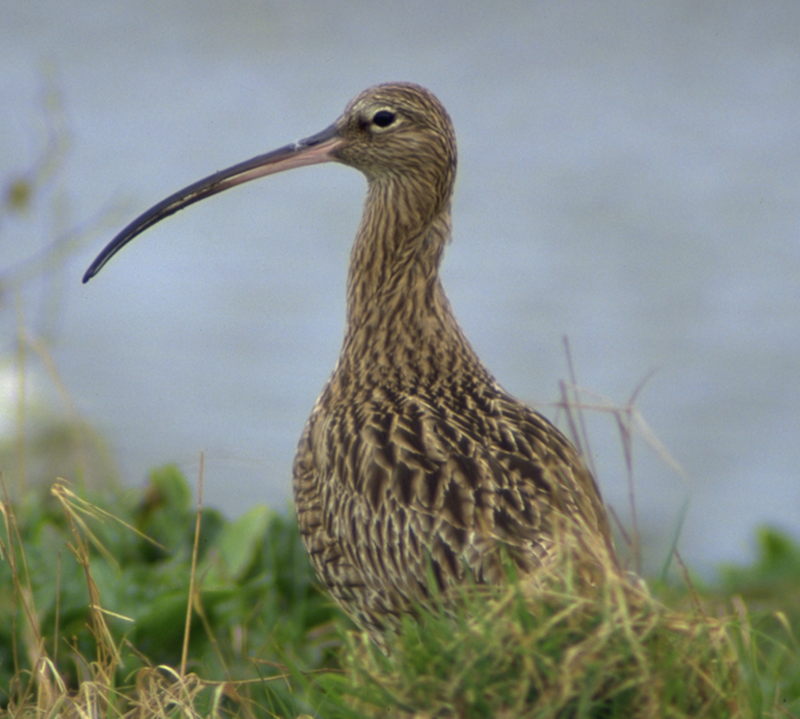 The force decided to concentrate its efforts on six core areas where 45% of the breeding Curlew population occur. At these sites they will be implementing a Curlew Conservation Programme. Local teams will be put in place to manage Curlew conservation efforts in the chosen areas. These teams will include a local Curlew Champion, Curlew advisor, Curlew Research Officer and Curlew Nest Protector. After the meeting some members of the group visited Lodge Bog to observe Curlew which returned to the site on the 2nd April. At present the birds are feeding in fields surrounding Lodge Bog in addition to spending time on the site. 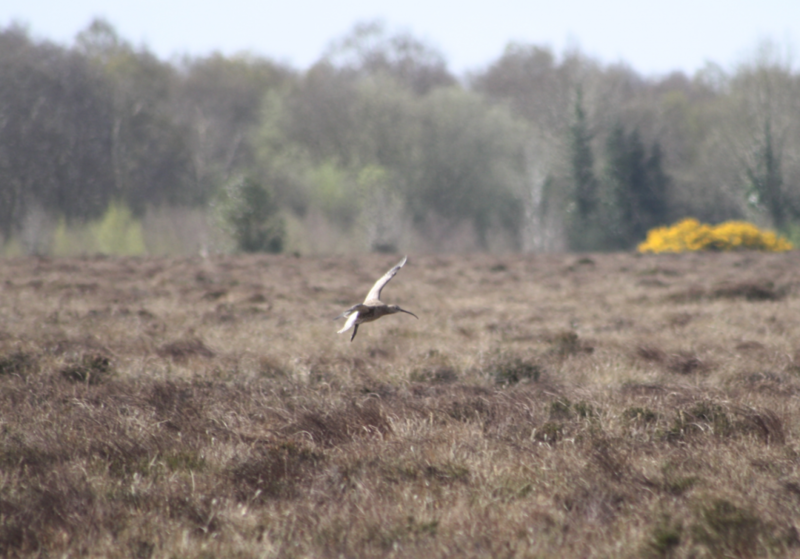 The photograph inset taken by Amy McCluskey on the 4th April 2017 shows a Curlew in the process of landing on Lodge Bog.